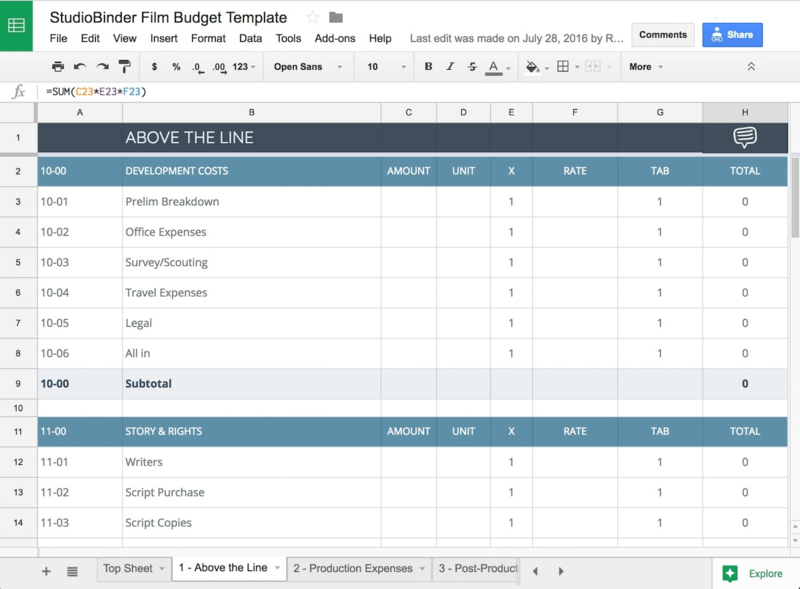 While we do not currently offer any budgeting functionality, we do offer a free budget template designed in Google Sheets. It comes pre-populated with the most common budgeting details, and it's extremely customizable to fit any type of production (i.e. for a short film, feature, commercial or music video). After you've finished budgeting, it's time to start importing your contacts, scheduling your project and tagging your screenplay!